Lake Area Painting and Decorating is the perfect choice for new and existing homes when you are looking for a professional interior painting contractor. 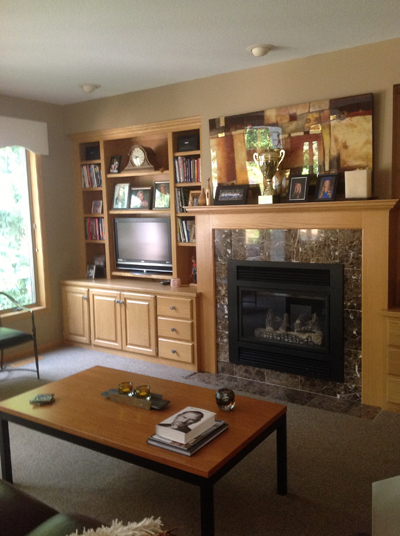 Our painters offer solid advice and expertly applied interior finishes. We can handle ceiling texturing and painting, wall painting, wallpapering and wallpaper removal. You can also trust us with your wood-refinishing needs. We have refreshed window sills, bar tops, fireplace mantels, kitchen cabinets, staircases, and vanities. When necessary, we will strip the existing finish, sand and prep the surface, and apply the appropriate finish that will be beautiful and durable. Many painters are more focused on the end results of their painting contract rather than on how they got to their end result. 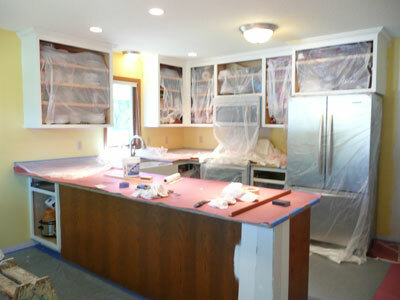 At Lake Area Painting and Decorating, Inc., how we get our projects done is just as important as the outcome. Without protecting floors, carpet, walls, furniture, adjacent rooms, fixtures and woodwork, even the most meticulous paint job becomes less than memorable. Our quest for excellence is never-ending, and we have found that taking the time to prepare a house to be painted produces a much better end result. That meticulous approach takes time, but it ALWAYS yields a better result, a longer lasting finish and a much happier and satisfied homeowner! We go the extra mile to minimize the impact of our presence in your home. Even with our best efforts, dust is a devil and can occasionally slip out here and there. But most of those little specks of dust never get past our protective measures. • Often times floors are covered with two layers of protective coverings. • Cover wood floors with rosin paper or 3M rubber mats and clean heavy weight canvas drops. • Cover tile and vinyl with rosin paper and clean heavy weight canvas drops. • All floors will be washed, wiped or vacuumed when complete. • When we remove wallpaper we will tape and poly base to protect the flooring. • All carpeted floors will be covered with clean heavy canvas drops. • All floors will be vacuumed upon completion. • We will use the highest quality 3M masking tapes and tacks as needed to hold up our plastic sheeting. We use plastic sheeting to bag off our work area. • Our new plastic sheeting will be wide enough (12-feet) to cover flooring and furniture also. • In addition to covering your walls we will cover doorways to other parts of your home in an effort to seal off our work area. • We will apply poly over our clean drops to capture texture as best as possible. • Your furniture will be moved carefully and gently to avoid damage. • All furniture will be covered with two layers. The first layer will be a cotton sheet the second will be new 12-foot wide plastic sheeting. • We may cover furniture in other rooms, even though we are not working there, if we foresee a problem with containment. • We will lay down clean canvas drop cloths from our point of entry to the work area. • We will remove our shoes at the door until all work areas have been covered. • All woodwork will be kept paint free.